I was fascinated by the Butter Bell Crock the first time I saw one ... but somehow I never got around to actually buying one. So when I got a chance to review one, AND GIVE ONE AWAY, I figured I might as well jump on the chance. I mean, it's the season of giving, right? I might as well snag as many good giveaways as possible for you guys! 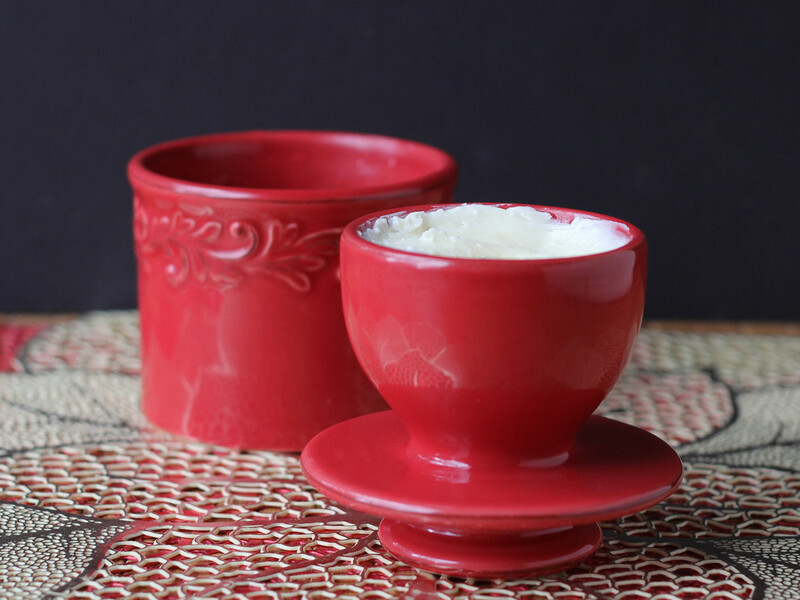 The idea behind the Butter Bell is that you smoosh softened butter into the cup (it holds one stick's worth of butter, or 1/4 pound, if you like weights) and then you put cool water into the bottom crock and the you upend the butter into the water. The water creates an airtight seal on the butter, which keeps icky stuff out. You're supposed to change the water every three days, which I'm guessing is most important if you've got people leaving crumbs in your butter, but it's a good idea even if your butter and water are pristine. The Butter Bell is kept at room temperature, so the butter stays at a nice spreading consistency. The Butter Bell people say that it's good for 30 days, but if it's taking you a month to use a stick of butter, maybe soft butter isn't really on your agenda. The butter seemed to be a little cooler than room temperature, perhaps because of the water or evaporation or something, but in any case, it wasn't melted, nor was it hard. It was juuuuust right. My one concern was whether the butter would actually stay put in the cup. For some reason, I imagined it might just slide out and I'd find it bobbing in the water. But, no, everything was fine. While the Butter Bell is attractive enough to keep on the table for family use, if you're having company over, you can just flip the butter cup upright, and it stands up nicely for serving and passing around at the table. Very civilized, and you don't need to worry about guests sloshing water everywhere. Maybe your guests aren't the sloshing type, but in any case, leaving the butter out of the water during a meal means there's one less thing on the table for people to be passing around. The Butter Bells come in a whole bunch of different colors and designs that you can see on the Butter Bell website. Right now, there's a Buy 2 Get 1 Free Special Offer from Butter Bell. Great for holiday purchases. For every two Butter Bells that you buy through December 12, you get a Classic White Retro Style Butter Bell Crock for free. If you want more info on this gizmo, it was featured on the television show Unwrapped and you can find the video here along with a bunch more facts. You should check it out - the video is cool. Pros: Looks pretty. Lots of colors and designs. Keeps butter soft. Cons: You do need to change that water. Wishes: A half-pound bell? Would that be too big? Teeny individual bells would be neat for dinner parties. When you think of Le Creuset, you probably don't think about small gadgets. Me, either. So when I got a corkscrew in a swag bag, I didn't really think much about it. I have a few corkscrews, and I wasn't in a hurry to try the new one. Then I got around to sorting through the bag and pulled out the corkscrew and let it sit around for even longer. Eventually, I took it for a test drive. Because sometimes wine happens, right? When you first look at it, the corkscrew looks pretty similar to most. But then I read the instructions, and there are actually two levels for cork-pulling, which makes sense. 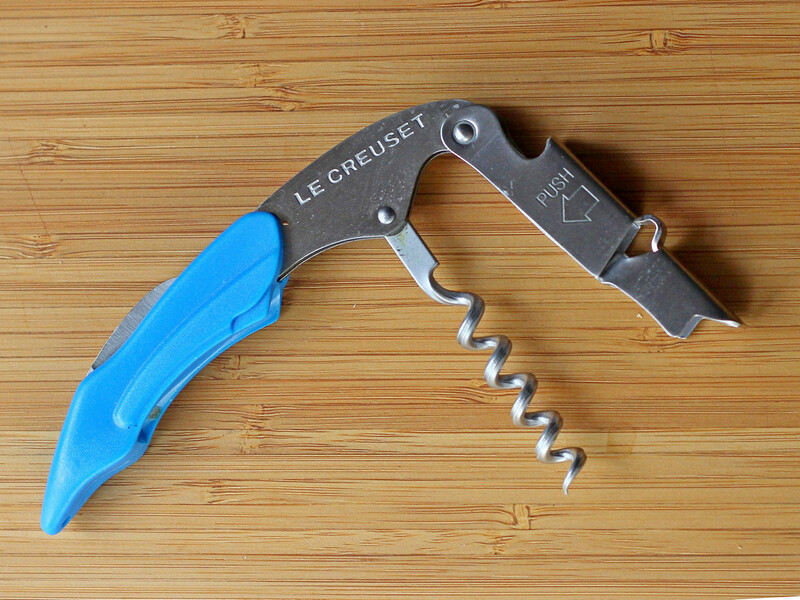 When you use a normal corkscrew of this type, there's a point where you're pulling at an odd angle which can crack the cork if it's a little dry. With this one you pull, readjust, and finish pulling, so the cork is moving mostly vertically. The instructions described how the corkscrew was supposed to work and it sounded odd, but once I used it, it seemed completely obvious, and very simple. This also has a little fold-out blade for cutting the foil, which is handy, and it all folds neatly together. Pros: Works well, looks nice. Sturdy construction - this should last a lifetime. Dishwasher safe. Cons: A little pricey, if you don't drink a lot of wine. Source: I received this in a swag bag many months ago; a review was not expected. My mom had a food mill when I was growing up. The only thing I remember her using it for was tomatoes, but when I got a new food mill from Harold Import Company, the first thing I wanted to try was potatoes. Which makes sense. Fresh tomato season is over, so I have no reason to be squishing tomatoes. But potatoes are always around. When I don't use a manual potato masher (which I sometimes do), and particularly when I'm looking for very smooth potatoes, I use a ricer. 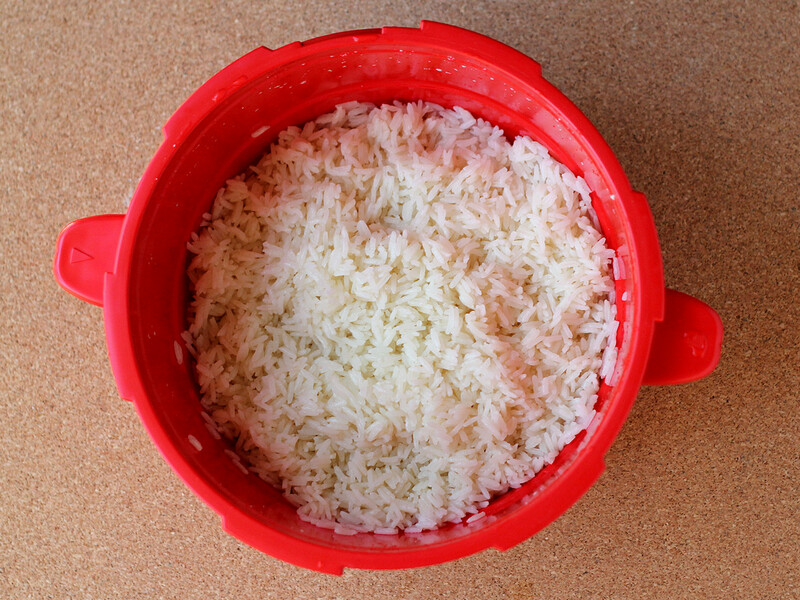 A food mill gives the same result as a ricer, but it works differently. Instead of pressing the potatoes straight through the holes, you turn a crank. It's takes less muscle. 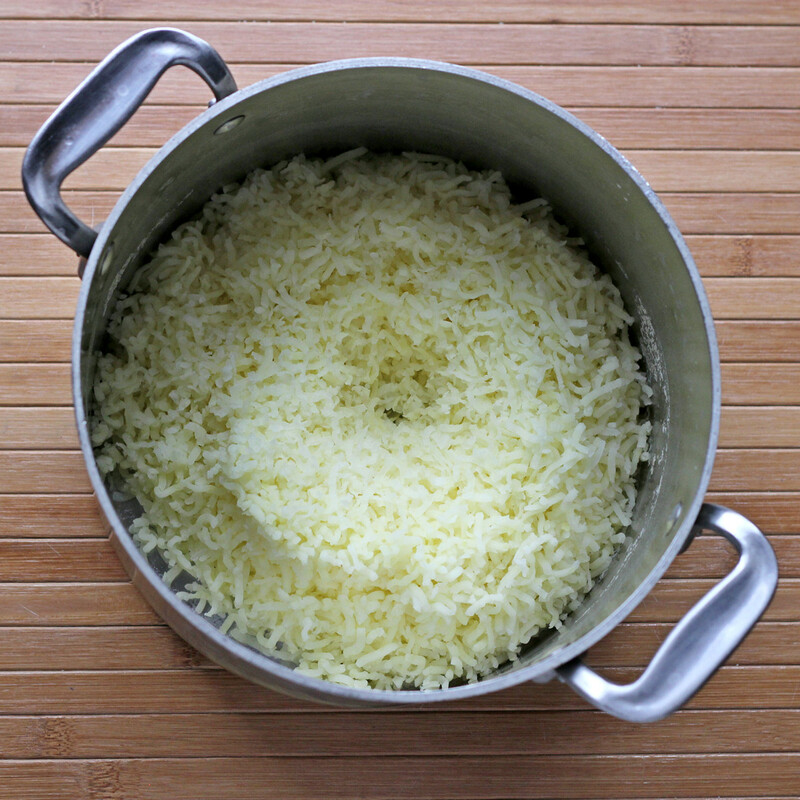 The bowl of a food mill is also larger than the bowl of a ricer. 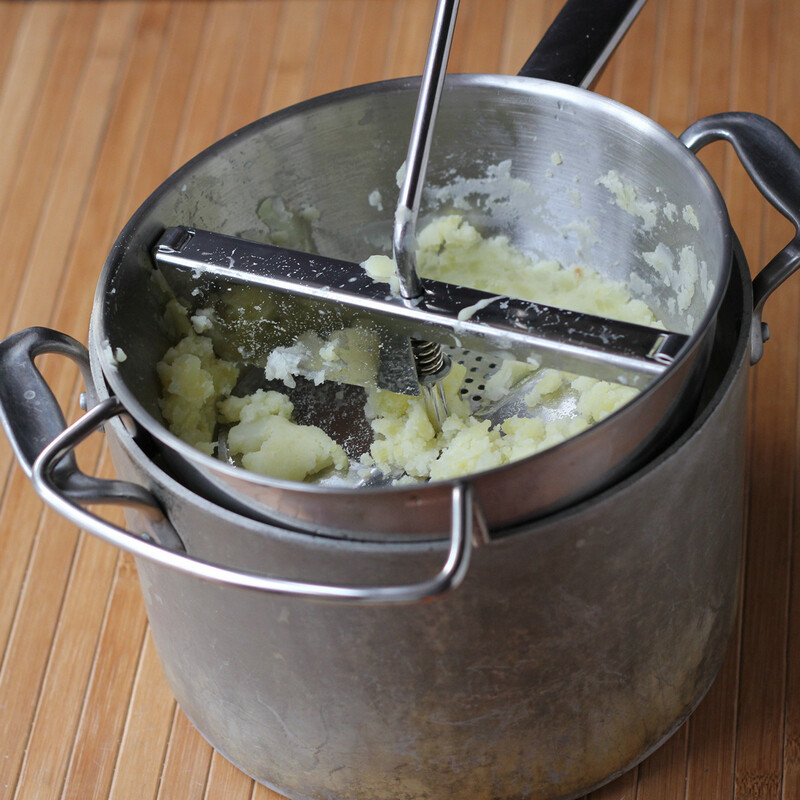 Rather than spooning a few chunks of potato at a time into a ricer, I was able to dump a small pot of potatoes into the ricer - water and all. I let it drain, then I started smooshing. 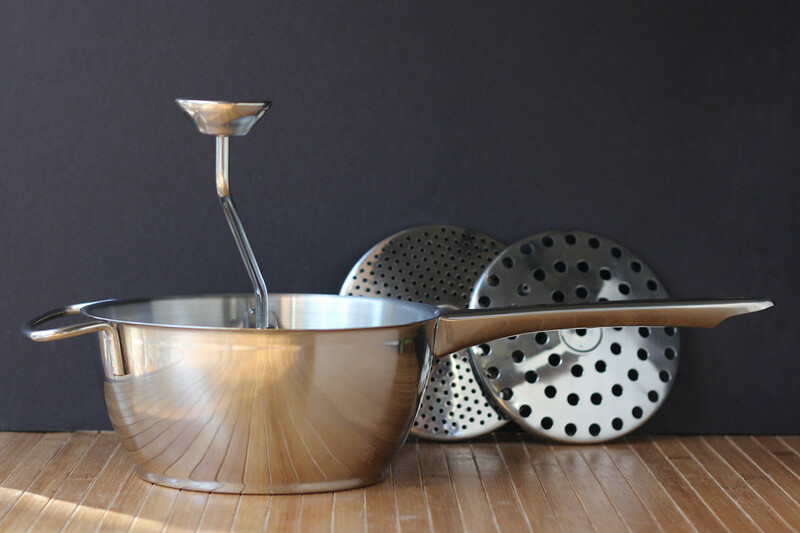 The ricer from Harold Import Company has a 2-quart bowl, but I wouldn't suggest filling it to the rim with potatoes (or anything else for that matter) since you need room for the paddle to turn, which also causes the ingredients in the bowl to move around a bit. But still, it was big enough to mash all the potatoes I needed. And, if not, you just refill. In that case, I'd suggest draining the potatoes in a colander and then adding them as you go. And, as expected, it worked really well. The potatoes were fluffy and smooth and lovely. I'm sure I'll use the mill for tomatoes in the summer, but since this came with three plates with different-sized holes, it can be used for other things besides tomatoes and potatoes. Like for making spaetzle. The larger holes would also be useful if you want a chunkier mash of something. Like chunky applesauce, I guess. Or ... I'm sure I'll think of other things. There are two things to remember about using a food mill. While turning in a clockwise direction is what presses food through the holes, every now and then it's a good idea to give it a spin in the other direction to move things around. This is particularly true when you're working with something that has skins, like tomatoes, since the skins can pile up and cover the holes. But it applies to pretty much anything you're smooshing. Once you see how it works, it will make sense. Second, and probably most important thing to remember is that the disks need to be inserted with the curve upwards. You can assemble this with the curve down, but nothing interesting is going to happen when you turn the crank. However ... for storage, you can put all the disks in upside-down and attach the crank and keep it all contained. Then, it can be hung from the handle or from the helper handle. The mill from Harold Import is made from stainless steel, so it looks like it should have a good, long life, and there don't seem to be a lot of places where it could break. But then again, you should be smooshing softer foods through it, and not trying to pulverize rocks. So ... do you use a food mill? What do you use it for? Who's it for: People who want to hand-process tomatoes, or rice potatoes, more smoosh cooked squash or rutabagas. Or other things. Pros: Stainless steel. 2-quart capacity. Cons: Not a problem with this unit in particular, but inherent in all food mills. It doesn't make sense to haul this out to mash one or two potatoes. For that, I might still use a potato ricer or a hand masher. Wishes: It would be nice to have one more hole size, more like a screen, maybe, for even finer straining of seedy things. When I have time, I like gardening. I like the idea of going outside to pick tomatoes that I'm going to use in a salad. When I don't have time to care for an actual garden, I like to have at least a few easy herbs growing in containers. When winter comes, the herbs freeze, and I get really cranky about having to buy those expensive little plastic clamshells with fresh(ish) herbs. 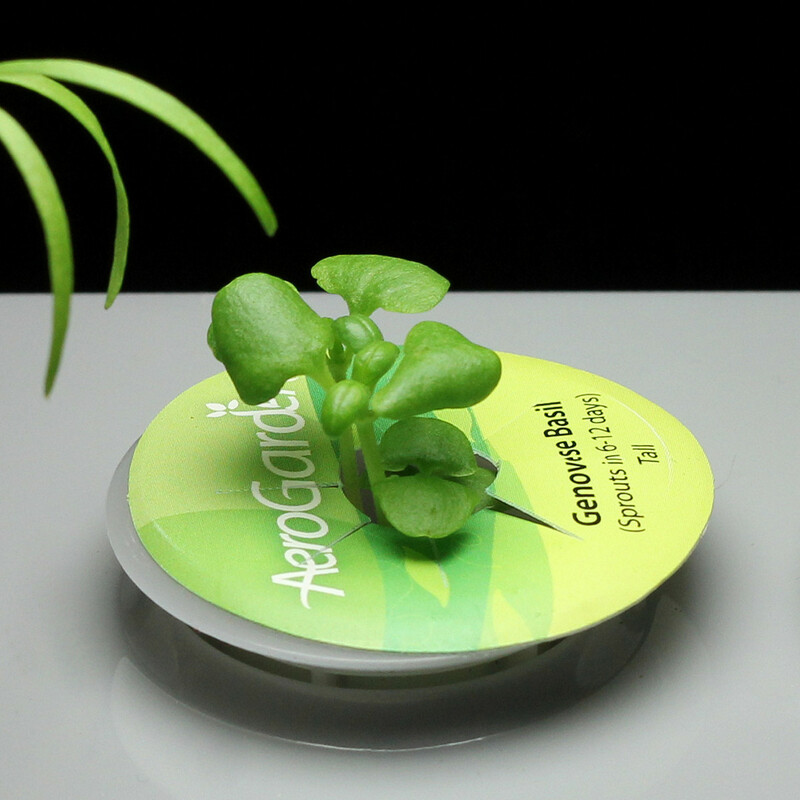 So when I got an opportunity to try a new AeroGarden (and give one away) I was all over it. I got a model 3SL which is nice and compact and has three spaces for growing herbs (or other plants). And it makes a nice bright nightlight that turns on and off automatically. I started the three herbs the kit came with - dill, basil, and parsley - but when it's time to re-plant, I think I might change the options. Maybe some chives. Or cilantro. Or thyme. Or I'll decide later. 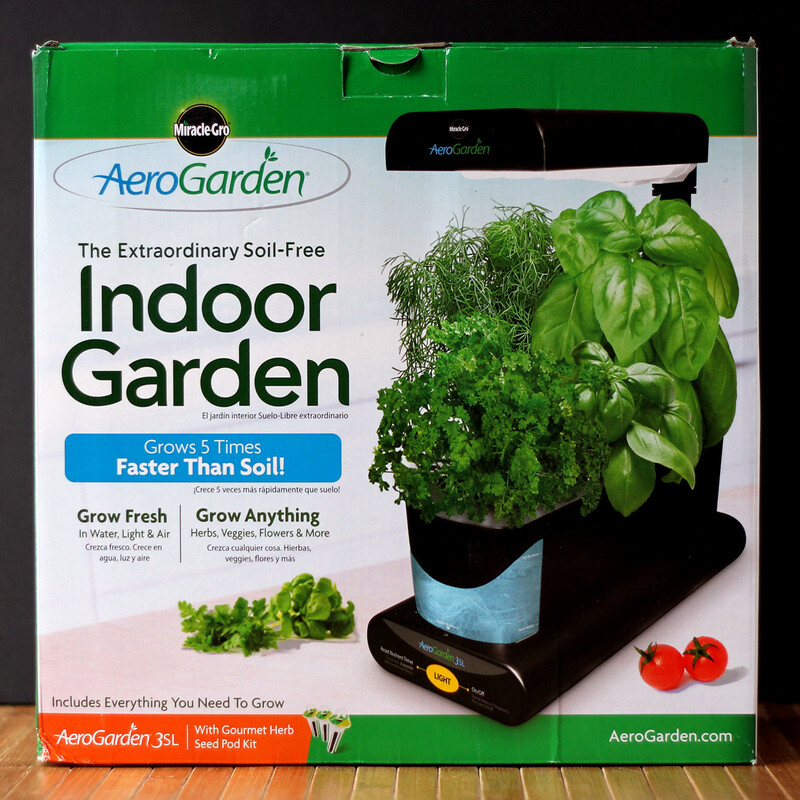 But it's not just about me, you can WIN your out AeroGarden 3SL here. But that's not the end of the winning possibilities. 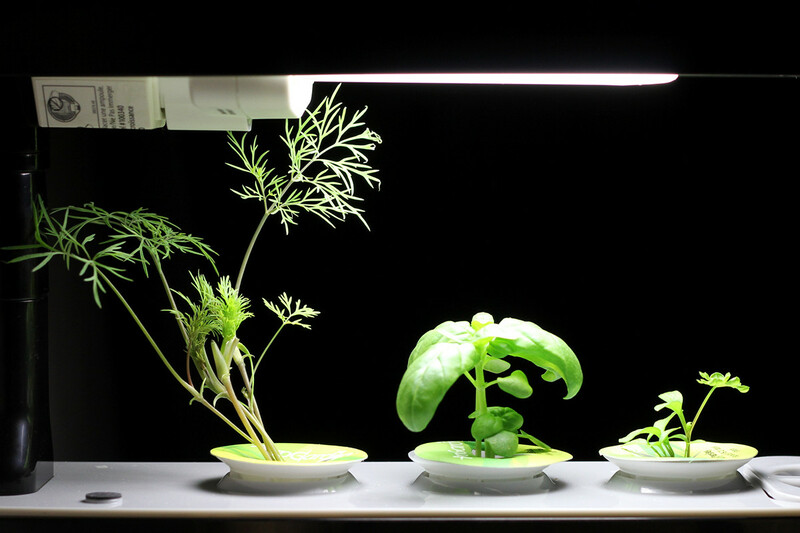 There is a Grand Prize giveaway hosted on Kitchen PLAY where they are giving one ULTRA LED AeroGarden away each week, for four weeks (4 total). The ULTRA LED is a larger unit that grows more plants and it's got really fancy LED lighting that looks kind of cool and those LED lights should last longer than normal grow lights. 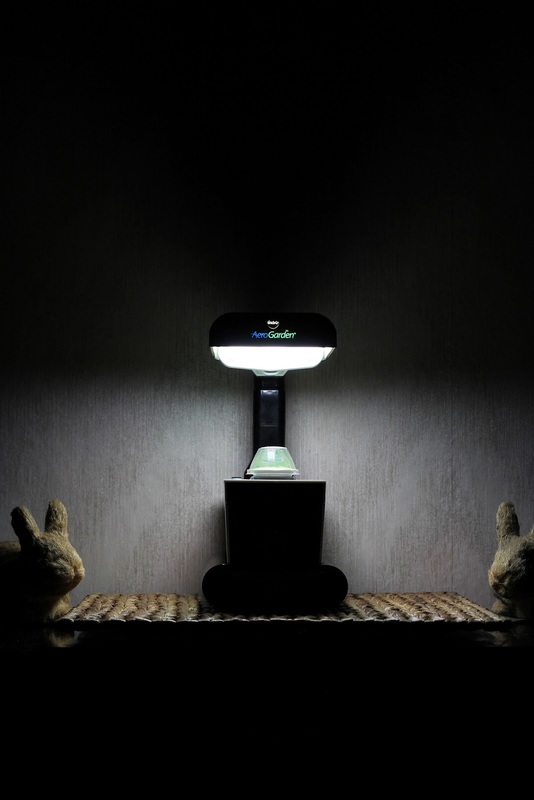 When the ULTRA LED first came out it sold for $349.95, but now you can get it for $299.95 at most places and for $232 at AeroGarden.com. BUT!!! There's an even better deal for a little while. Costco and Costco.com are now selling the ULTRA LED for $199.95 and from November 22 through November 30 you can get it for $179.95. Also, check out Slick Deals for another great sale. So if you want to buy one of those bad boys, now is the time. 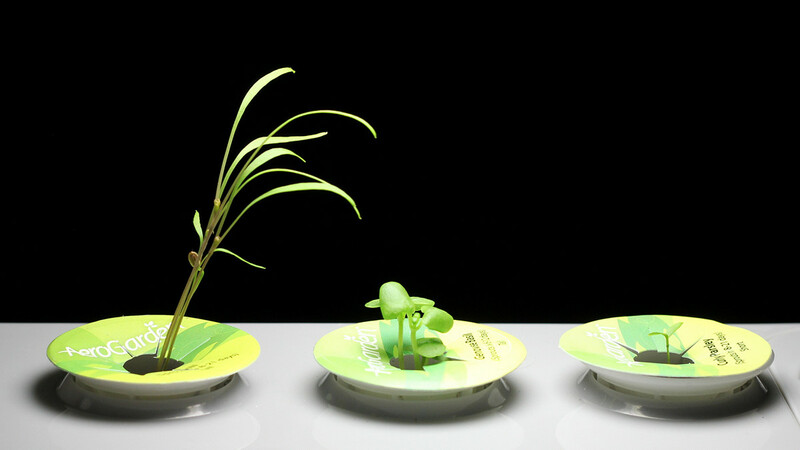 If you're not sure how well plants in an AeroGarden will grow, I'm going to be updating this post regularly with photos of my growing little green friends, and I've started a Pinterest board to stash more photos of my plants. I got my 3SL last Thursday (11/20) and I set it up right away. It didn't take long at all to set up - it's mostly intuitive - really the only thing I absolutely needed instructions for was to check how much plant nutrient to put in the water. Now, I just have to top off the water as it needs it, and add nutrients every two weeks. And you don't even need to pay attention to that - there's a light that reminds you. Oh, and once the plants start growing, they need to be pruned regularly. But that's easy, since I'm growing herbs I want to cook with. I put mine on a table in my front hallway where I have to pass by it several times a day, so I'm likely to check the water level and notice the reminder light. I might move it to the living room, but for now I like that it's lighting up my stairway area. If you've got spare counter space in your kitchen, it would make sense to grow your herbs where you're going to use them. But counter space is definitely one thing I don't have any of. It looks like this unit is going to be easy to clean - the water tank comes off the base so you can give it a good scrub in between plantings, which is really nice. You're not supposed to take the lids off, but I figured it would be fine to take it off long enough to take a photo. This is my basil, starting to peek out of the soil. This morning it was a little green bump. Now it look lumpy, like there are leaves happening. Update 11/26: Two days later, and here's my basil. It's doing really well! And the dill just sprouted. It's really thin, but also really tall. It just catapulted. The parsley isn't showing itself yet, but it's not that it's late. These two sprouted really early. I took its little plastic cap off of it yesterday because it was too tall. My parsley has sprouted. one day, it was a teeny green spot, and the next day it popped up. It's still small, but it's growing nicely. So far I only see one sprout, but that's all I really need. Here's another view. I think I'm going to need to thin the herd soon, so I don't end up with too many plants. Or maybe not. The instructions say that the pods can support multiple herb plants, so maybe I'll leave them as is. The dill is leaning a little because of where the light bulb is. I think when I raise the lights, the dill won't lean quite as much. Or maybe I can turn it around once in a while. The dill now is getting the frondy-looking leaves that are typical of dill. Basil is getting bigger. It was close to touching the plastic dome, so I decided it was time to release it. The larger sprouts are starting to get a second set of leaves. Parsley is getting taller. 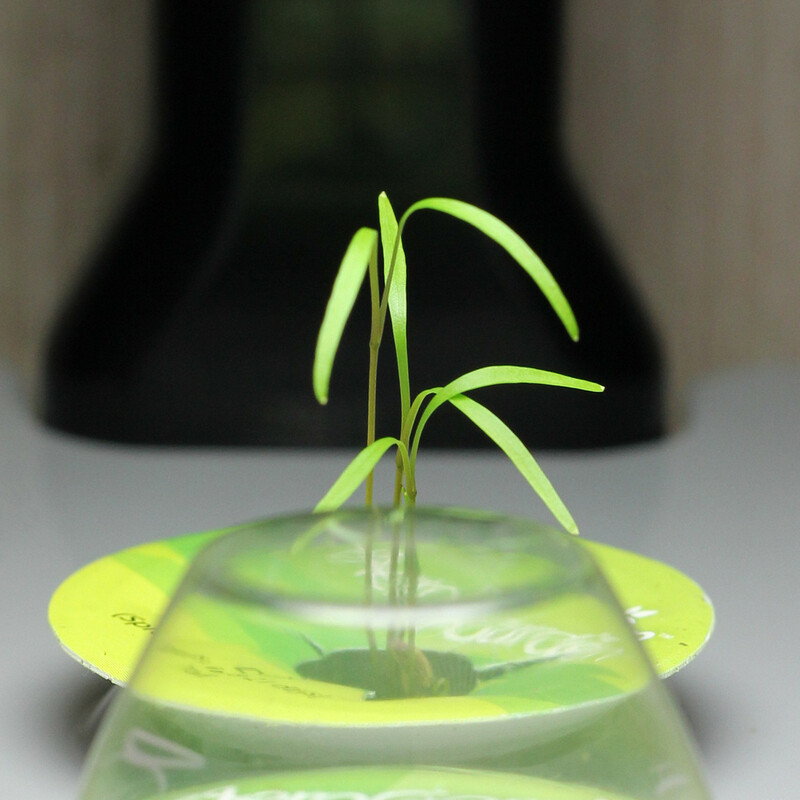 Although the other plants have more than one in each pod, so far there's only one parsley sprout so far. It's not yet tall enough to release it from its plastic dome, so it stays under cover when it's not posing for photos. Dill is looking very happy, basil is bushy, and parsley is popping up. Everything's getting bigger. Here's the parsley. 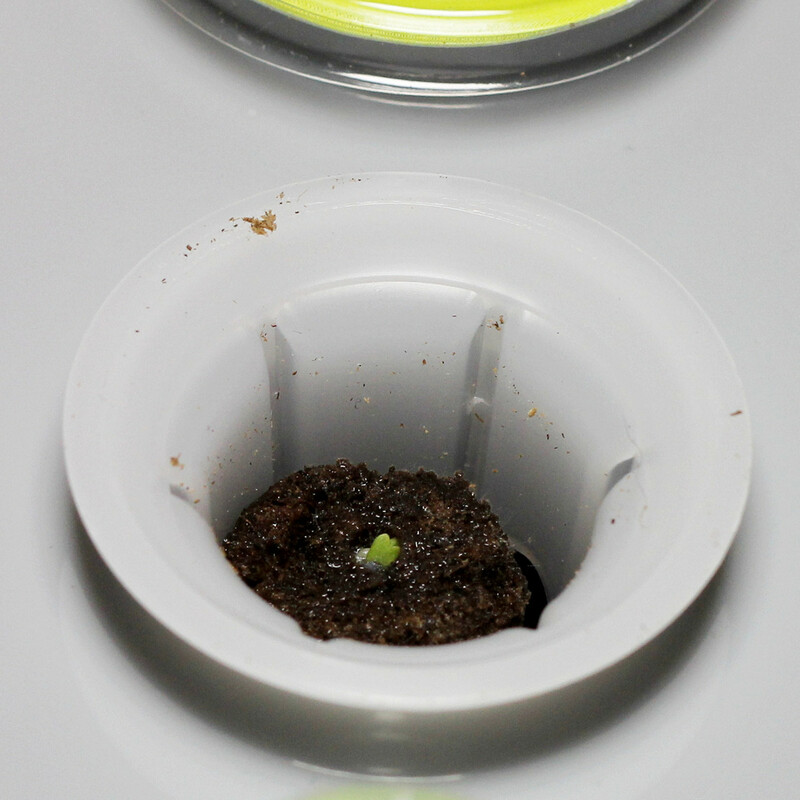 There are two sprouts now, and you can see the second set of leaves on the larger one. Everything is growing really well. The parsley has one parsley-like leaf and there are at least three sprouts there. Basil is bushy. Right now, the dill is looking pretty floppy and top-heavy. I'm going to give it another day and then I'll prune the heavy top leaves so it has a better chance of standing up on its own. I trimmed the topmost leaf from each of the dill plants and they're better able to stand upright. I also spun them around. Part of the reason for the lean is that the light is a bit forward from them - you can see in the photo that they're under the base of the light, not the light itself - so they're reaching for that light. When all the plants are taller and I raise the light, I think there won't be quite as much lean. Or at least I hope not. But I don't want to raise the light until the basil and parsley are a little taller. Meanwhile, the basil is getting bigger and it's looking pretty sturdy, and the parsley is getting parsley-like leaves. I'll probably have to trim the dill again at least one or two more times before the basil and parsley are tall enough for me to raise the light. I've trimmed the dill several times to keep it from bashing into the lights, but now the other plants are starting to catch up. I'm going to prune the basil soon to get it growing more bushy rather than tall, but I think I'll have to raise the light soon, anyway. 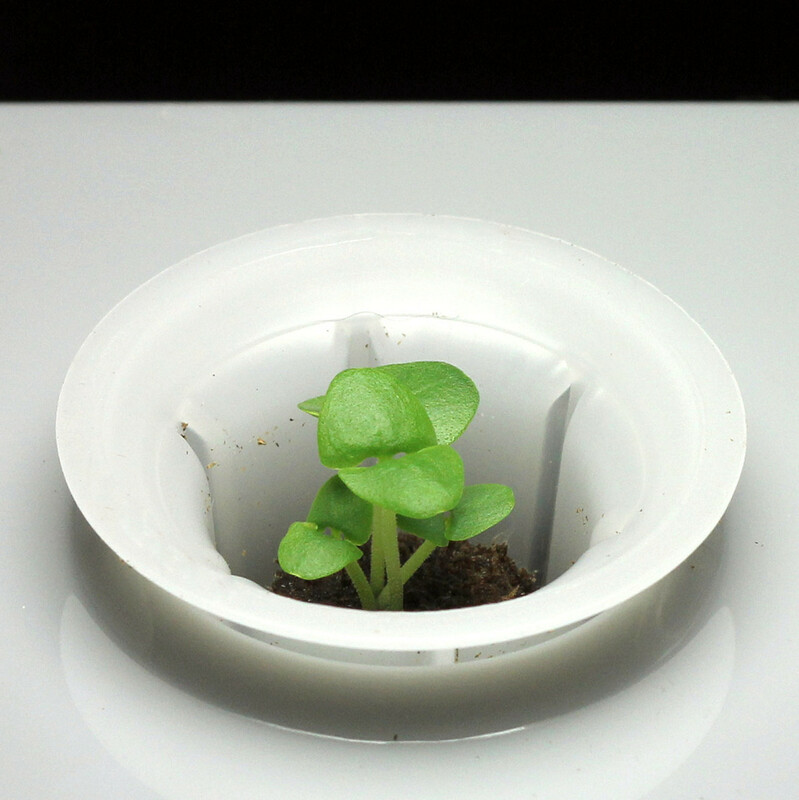 Have you used an AeroGarden? What was your result? 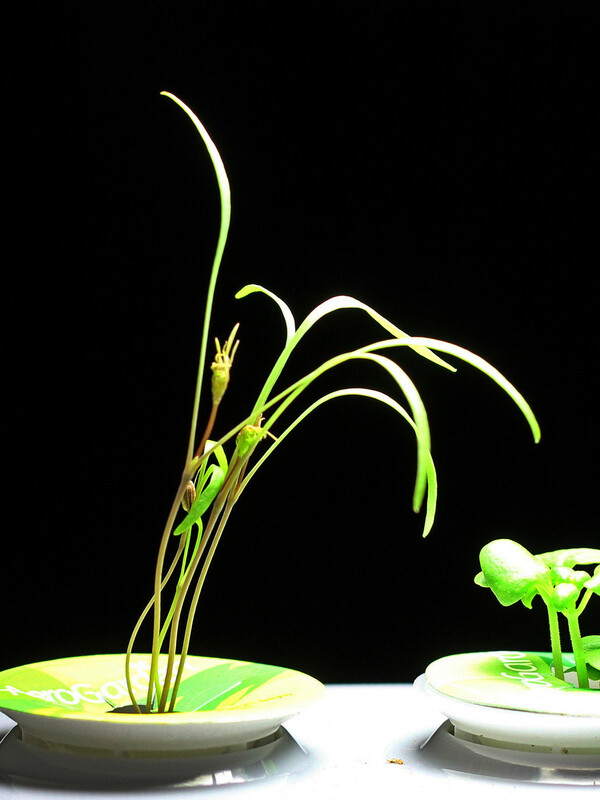 Who's it for: People who want to dabble with indoor hydroponic gardening. Pros: Has its own light source, so you can put it anywhere. Cons: Once the plants are growing, you do need to check the water levels regularly. Wishes: It would be cool if the smaller units could use LED lights. Source: I received this from the manufacturer through Kitchen Play, for the purpose of a sponsored program. 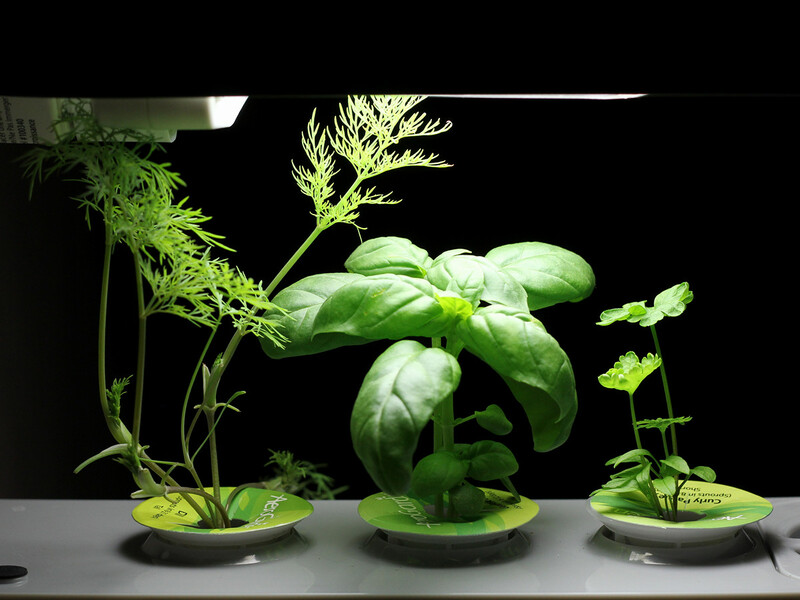 More info: You can find AeroGarden on Pinterest, and this board will have tons of pins from bloggers participating in this event. 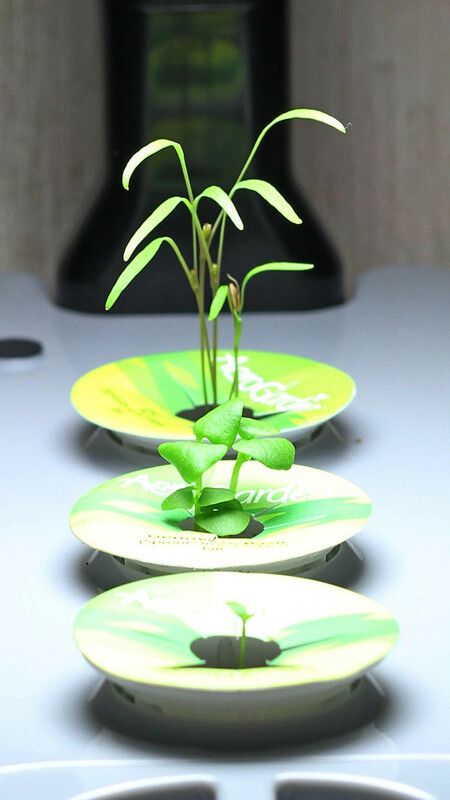 If you want to win the same AeroGarden 3SL model that I have, you can enter here! Contest is OVER. 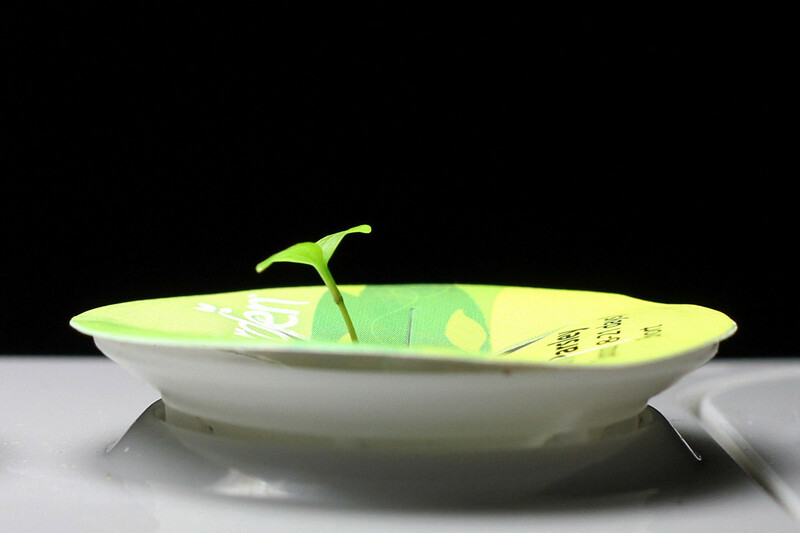 This post is sponsored by AeroGarden through Kitchen Play. You should know by now that I only write what I want to write. I had a very old-style AeroGarden some years ago so I knew what to expect as far as growing plants, but this unit has some improvements over the one I had before, so I wanted to give it a try. Some days, being a food blogger is all about cursing the bad lighting, hating the new recipe that didn't work out, and finding typos after a new post has gone live. Other days, you get an email from a company called Certified Steak and Seafood who offers to send food. And I'm talking about good stuff. That's a really pretty rib roast. It looks a little odd, because it's vacuum-sealed and frozen solid. They shipped it overnight in a styrofoam cooler along with some dry ice. I'll tell ya what - this thing didn't even have a chance to think about thawing. It was solid. Very solid. Okay, you can't see what it is, but that's a giant porterhouse steak. Here it is, thawed and waiting to be cooked. Look at that marbling. You know it's going to be tender. And it's big. That plate is a standard dinner plate. I considered cooking it with sous vide, then searing it to finish, but I thought that would be a little bit unfair because most folks aren't going to cook with sous vide, and I wanted to cook it like anyone could cook it. I figured that would be a more fair test of the product. So, I heated a cast iron pan until it was really really hot. I salted the steak before cooking, then put it in the pan and let it sit until one side had a nice crust, then flipped it and cooked it on the other side. And then I checked its temperature. Just a teeny bit longer and it was done. And here it is in a cast iron pan after being seared. Doesn't that look great? Okay, the lighting in my kitchen at dinnertime isn't great, but I think you get the idea. As expected, the steak was tender and juicy and tasty and ... well, pretty much what you expect from a good steak. So, the question is why you'd order steaks or seafood online. 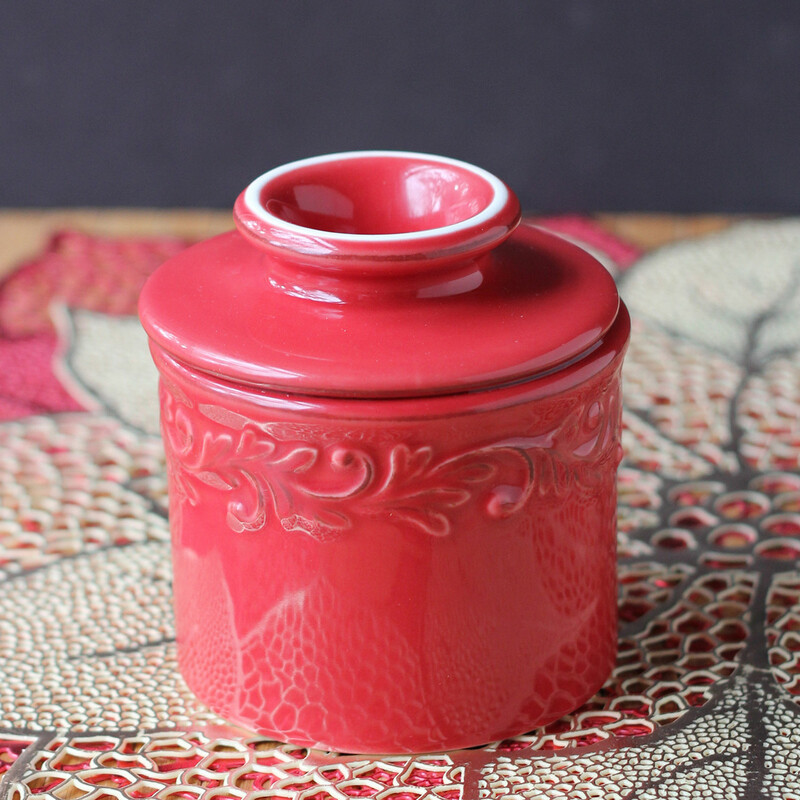 First, it's great for gifts, since you can ship to family and friends who don't live nearby. Second, you can get things that you might not be able to find in your area. For example, the third item I got was dry jumbo wild-caught scallops. I don't think I've ever seen dry scallops in any store, so I'm pretty excited about trying them. I'm planning on posting at least one (or more) recipes on Cookistry using the other two products, because I think they'll be fun to work with. I just need to come up with recipes that will showcase them the best. Watch for them. It'll be FUN! Who's it for: Hungry people. Cons: Shipping is expensive, which affects the price. Wishes: Wish someone would buy me a subscription! The Wonderbag is an interesting item. It's a big fluffy round insulated ... thing ... with a drawstring top. What do you do with this ... thing? Well, it was originally designed for use in third-world countries where fuel for cooking isn't readily available. You can heat a pot to boiling, put it in the Wonderbag, seal it up, and let it slow-cook for hours. How long it retains heat depends a little bit on how warm your environment is. If you live in an igloo, it's going to cool off a lot faster than if you live in a normal house. You can also use it to keep cool things cool. I reviewed it here, if you want more of my thoughts about it. Wonderbag has a new holiday version that you can find on Amazon . Everyone has their cooking nemesis. For some people, it's yeast bread. For some it's pastry. Or gravy. or biscuits. I can make all those things, no problem. My nemesis is rice. Yes, plain old white rice. It didn't used to be that way. Long ago when I lived in an area roughly level with the sea, I could cook rice with nary a second thought. Perfect every time. Then I moved about a mile vertically, and rice became angry with me. It refused to cooperate. I made crunchy rice and mushy rice and wet rice and burned rice. I scrubbed more blackened rice out of the bottom of saucepans than I ever want to admit. So, I gave in and bought a rice cooker and never looked back. But then this mystical plastic item, bright red, appeared on my doorstep. A microwave pressure cooker made by SilverStone. What sort of magic is this? I skimmed through the instructions and pawed through the recipes. And then I saw it. Beans and rice. Really??? I'm pretty adept with a pressure cooker. I own stove-top models and an electric one, but I use them mostly for things that would otherwise have to cook for a really long time, like oxtails or corned beef. I never thought about making rice in my pressure cooker. But when I saw this recipe, it was an "aha" moment that I couldn't resist. I figured that I could modify the beans-and-rice recipe to cook just the rice, so I used 1 1/2 cups of rice, 2 cups of liquid (chicken stock and water) and a tablespoon of butter. And some salt, since the stock wasn't salted. I put the lid on it, chucked it in the microwave, and set it for 10 minutes on high. I heard the microwave beep (no explosions, but I did hear some hissing inside the microwave prior to that, as one would expect from a pressure cooker) and I gave it a couple more minutes to cool down. The pressure valve was already down, so I opened the cooker, and ... RICE! Cooked rice in TEN MINUTES!!! It MUST be voodoo, I tell you! The rice was just a tad undercooked for my taste. Not al dente or crunchy, but just slightly firmer than I prefer. I wouldn't have had a problem serving the rice exactly the way it came out, but it ended up being sort of perfect, because I decided I wanted to add some peas to the rice. So I added peas, a little extra water, and cooked for one more minute. I wasn't terribly surprised that the rice wasn't totally perfect on the first try. When I cook rice in my rice cooker, I have to add water above the rice cooker's suggested amount. High altitude and all that. So, next time I make rice in the magic voodoo time machine ... uh, I mean microwave pressure cooker ... I'll use 1 cup of rice to 2 cups of water and maybe increase the cooking time by a minute. Because 11-minute rice is still like some kind of cooking miracle. So, even if this critter only cooked rice, I'd be pretty giddy about it, because it's FAST rice. The rice cooker is simple, but I have to plan ahead. A couple days later, I decided to cook come dry beans. Of course I didn't plan ahead - the beans weren't soaked. But lately I've read some articles that say that there's really no compelling reason to soak. Except of course that if you soak them, they cook faster when you get around to cooking. I used 1 cup of beans with 3 cups of water and checked them after 10 minutes to see how they were doing. Nope. I added salt and cooked them for another 10 minutes and they were done. But!!! I think a better ratio would have been 1 cup of beans and 4 cups of water. So far, I really like this pressure cooker. It's going to take a little bit of recipe expeimenting before I know exactly how long I need to cook different foods, but that's not a big deal. I also think this would be great for people who are interested in having a pressure cooker but who are a little skittish about having one. Because, seriously, if something goes wrong and it spews stuff out the vent, it's going to be contained inside the microwave. That's still messy, but it's not as bad as scraping food off the kitchen ceiling. Who's it for: People who want to try pressure cooking. Pros: Works well, so far it's easy to clean. Doesn't require as much watching as a stovetop model, since the microwave controls the timing. Has a steamer rack (there are recipes that came with it that use this rack). Cons: Not a lot of recipes written for this pressure cooker, so you'll need to adapt. Wishes: It would be great to see these in different sizes, eventually. Quite a while back, I got an email from the folks at Reynolds - you know, the people who make aluminum foil - and they said, "What's your address? We want to send you a little something." Well, okay. They didn't say they wanted a review. They really didn't ask for anything at all. And I had no clue what they were sending me. What they sent was a box of what they called Cookie Baking Sheets . Or in other words, parchment paper. I kind of yawned. I mean, if you don't cook a lot, maybe it's innovative stuff. But I buy parchment paper from a restaurant supply company. The first thing I thought was that at least it wasn't a roll. Folded sheets are much easier to work with than the rolled stuff. And it wasn't just a few sheets. The box contained 22 sheets, which is a decent amount. I found them on Amazon for under $4, so they're not terribly expensive, so that's a plus. Along with the parchment, I got a few other items. Let's just call it a gift basket of stuff. One thing they sent was a pretty jar of cookie-making stuff from a company called The Mason Jar Cookie Company. I set everything aside because I didn't think I would have anything interesting to say about a box of folded parchment paper. But then, when I was looking for something else, I spotted the jar of cookie stuff that I hadn't used. I figured I might as well. The funny thing is that the instructions explained in two different places that the brown sugar was likely to get hard in the jar and that a short while in the microwave (after the chocolate is removed) would soften the brown sugar so it could be removed from the jar. I'm guessing that customers must have asked about that a lot for them to say it twice. Since everything was pre-measured, the instructions were ridiculously easy. Mix butter, an egg, and a little bit of vanilla in a bowl. Mix the jarred ingredients in another bowl. Combine the two. Bake. If I was going to use one of these jars again, I'd make one little change in technique. I'd dump out the chips into a small bowl and mix them in after the dough was completely mixed, just because that would make the mixing easier and there'd be less chance of damaging the chips candies. But that's just a minor quibble. It was fine as it was, and the cookies were good.. The parchment was a little bit of a surprise, though. I'm used to seeing the parchment paper getting a little bit brown from the oven heat, and having it get a little more brown with subsequent batches. I tend to re-use parchment at least a few times. until there are burned-on bits, or it gets too fragile and crunchy, or I'm done with the batch of cookies. But when I started removing cookies from the sheet, I saw that there was absolutely no browning of the sheets at all. It was as white as when I pulled it out of the box. Hmmm. Maybe there is something to this stuff. If it didn't brown at all when I cooked my two batches of cookies, that probably means it would last longer if I was baking more and more batches of cookies. So ... the truth is that I'm not really concerned about how much use I can get out of a sheet of parchment paper because I have a LOT of them. But if I was buying in smaller quantities, I'd definitely consider these. They would be a nice stocking-stuffer or add-on gift for the baker in your life, and if you usually don't use parchment, but want to try it for your holiday cookie baking, these are inexpensive enough to toss into your shopping cart. Who's it for: Anyone who's planning on baking cookies. Or other things. Like more cookies. Pros: Folded rather than rolled. Works well. Cons: Still more expensive than sheets in larger quantities. Wishes: It would be great if these were sold in bulk - maybe 100 at a time. Source: I received parchment and cookies from the manufacturer. There was no expectation of a review. The great thing about being a food blogger is that I get all sorts of things to test. And sometimes testing involves eating. 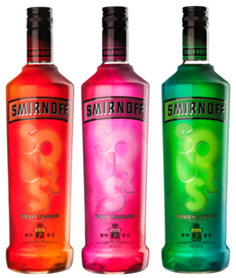 I just got a chance to try one of the new liquor from Smirnoff - the fruit punch from the Sours line. The other flavors are watermelon and green apple. The fruit punch flavor reminded me of something else that I couldn't quite put my finger on. But I liked it a lot. I had planned on using the Fruit Punch Sour to make some cocktails, but I found that it was pretty darned good over ice. Just plain. Really flavorful. A couple years ago, I went a little crazy making infused alcohols, often starting with vodka. What I ended up with was something that you'd drink all on it's own, like a liqueur. That's sort of what these sours are like. They've got a little more body than something like vodka, and they're a little sweet along with being tart. I'm planning on working on some cocktail ideas using the Sours for my food blog, but thus far I've been pretty happy drinking it over ice. If you don't want it as a chilled shot or over ice, I think it would be pretty good with something simple like lemon-lime soda or fizzy water. The other cool thing about these new sours is the bottles. They're kind of shiny and glittery in the light, but they're also supposed to glow in the dark. I don't know how much of a selling point that is - I really don't go looking for glowing liquor bottles in the dark, but it could be fun for a party or for someone who's got bottles on display. Crafty people might find a use for them, too. The Sours themselves are brightly colored, so no matter what you mix them with, you should end up with some interesting color. So ... have you tried these yet? Will you? I received product from the manufacturer for the purpose of a review. My friends at GIR are certainly in the holiday spirit, and they're offering a really nice prize package to someone. I absolutely LOVE their spatulas. I reviewed them before and most recently I reviewed their new silicone lids, that are still in Kickstarter (now available !) land. These guys make nice stuff! For the giveaway, they're throwing in THREE of them - in Ultimate, Mini, and Skinny sizes. That's a pretty good prize right there. 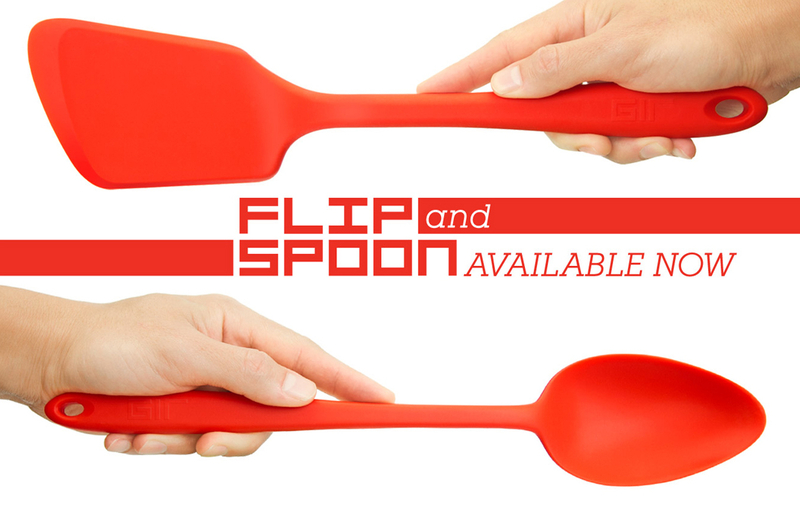 They just launched a couple new items, and you get one of each of those, too - an Ultimate Flip and the new Spoon! I've tried both of these and they're quite handy (hands in photo not included). Woo hoo! It's like ... uh, some holiday when people get gifts. No only do you get FIVE cool items, but you get your choice of colors. The new items are available in 7 colors, but the spatulas come in even more. Lots and lots and LOTS of pretty colors, to match anyone's kitchen. Well, maybe not if you're still sporting avocado green or harvest gold. I don't think they have those. GIR is supplying these items for the givewaway.